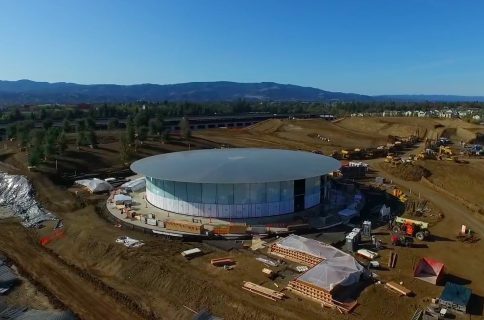 YouTubers Duncan Sinfield and Matthew Roberts flew their drones above Apple Campus 2 like they do every month, bringing us breathtaking visual updates of construction progress at the iSpaceship site. Last month, we saw a bird’s eye overview of the enormous ring-shaped building facade glowing at night and the month before landscaping work was beginning to show. Their latest footage reveals major landscape changes with large trees sprouting up everywhere around the new campus. The installation of solar panels has been about fifty percent completed, according to the YouTubers. You can also see some major progress being made to the garden, pond and outdoor dining areas inside of the iSpaceship building. Don’t forget to manually enable 4K resolution via YouTube controls because these gorgeous flyover videos looks so much better in four times the pixel density of 1080p. 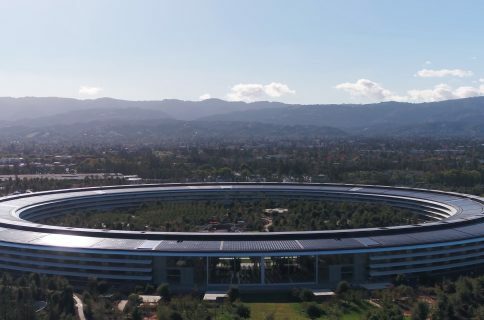 Duncan’s video reveals that the Cupertino City Council have permitted Apple to renovate certain parts of the apartment complex called The Hamptons to create nearly three times as many units in the area. 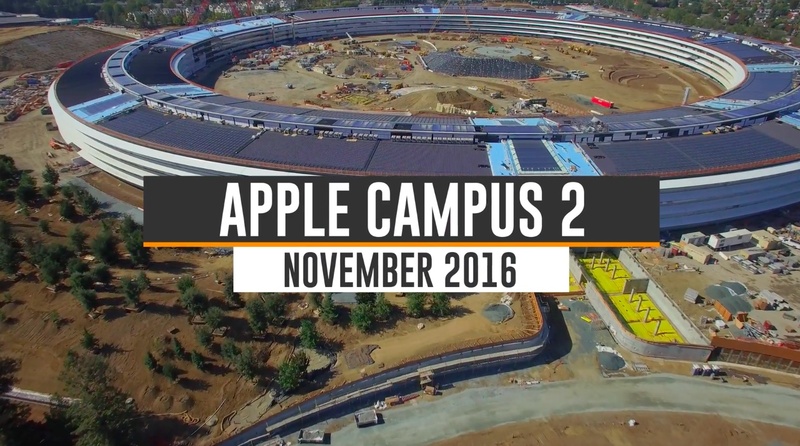 When finished, Apple Campus 2 will be one of the largest office buildings in the world. 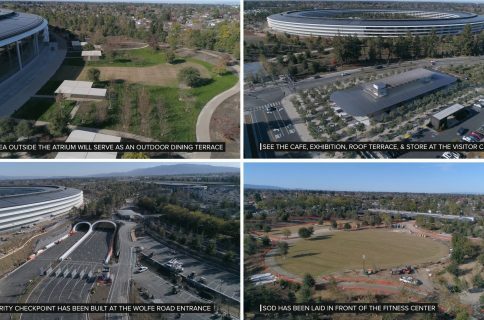 Apple’s been working on the iSpaceship building, Apple’s second Cupertino campus, for two years now. The project had a tentative moving-in date of January 2017, but the recently-updated general construction schedule on the City of Cupertino website suggests Apple may have pushed back its estimated end date for building construction by three months. Specifically, the new schedule calls for the start of landscaping work to extend into the second quarter of 2017, meaning employees could move in while landscape around the site is being finished. An expected end date for completing construction and street utility has now been extended until early-2017. Mid-October marked 36 months since crews began work at the 176 acre site. As mentioned, construction is set to wrap up in the next six months or less. Did iSpaceship impress you much?